Audio books have improved my life times 1,000. They make boring or annoying tasks go by in the blink of an eye. Now, when I’m riding the exercise bike or swiping on mascara, I’m also reading at the same time. Such luxury! If you’re not on the audio book train yet, you need to get on board! Without further ado, here are some audio books I’ve had in my ears recently. I’ve got a twisty thriller narrated by a female sociopath, a stripper romance (you heard me), and historical fiction about a lady grave robber that is just what your October has been missing. My sister-in-law Belinda recommended this book to me, memorably calling Jane “the sociopath we need in 2018.” That was certainly enough to hook me! Jane is on a revenge mission--at first the details are hazy, so I won’t spoil anything--but she’s taken a low-level temp job in order to get close to her target, Steven. Jane pretends to be sweet and innocent (and a little dumb) to get Steven’s attention, but on the inside she’s plotting his downfall. 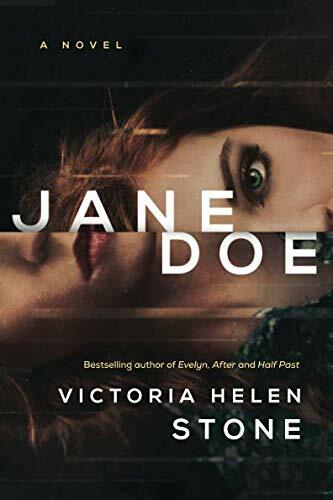 Once they start dating, Steven wastes no time in confirming Jane’s suspicions about the kind of man he is, but in order to maintain her cover, Jane must bide her time and put up with his preachy, chauvinistic crap. It’s admittedly a little difficult to spend so much time in literary company with a guy like Steven, even knowing Jane’s plans for him--he really is THAT detestable. Narrator Nicol Zanzarella is almost too good at the voice for Steven, making his vicious verbal abuse and whiny non-apologies truly cringe-inducing. However, the payoff is worth it and the book ended exactly as I wanted it to. Jane is indeed the best kind of sociopath. This was my first stripper romance! So entertaining, it kept me from white-knuckling during the long plane ride on our recent trip to the UK. Robin and Fallon meet over a laundry mixup involving a star-spangled thong, and the flirty fun that follows is just what you’d expect from a meet cute like that. I wasn’t expecting, however, the conflicts that arise between them. I assumed her family wouldn’t be cool with his career, or she would be jealous of his clients, but Castile takes the story in a different direction and I loved that. There’s nothing formulaic about it. You’ll forget you’re reading a book about a male stripper and a teacher and just be sucked into the story of two people who genuinely like each other trying to reconcile their differences and make things work. And audio is a great choice here if you’re too shy to flash that ab-licious cover around in public, but also because the voice actors are perfectly cast and really bring the chemistry. After Lydia Kang’s novel A Beautiful Poison changed my mind about historical fiction last year, I couldn’t wait to dig into her latest offering. The scene is New York City, 1850. Cora is a resurrectionist--a polite-sounding word for “grave robber.” She negotiates deals with anatomists, medical schools, and museums, and then her brother Jacob (actually Cora dressed in men’s clothing) digs up the bodies along with his crew and delivers them to their buyers. 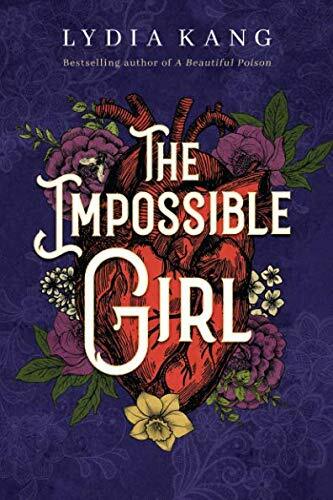 It’s grisly work, but it’s vital for Cora to keep abreast of the specimens being sought, as she has a secret she’s desperate to keep under wraps--she was born with two hearts. If that information falls into the wrong hands, Cora knows she’d be worth much more dead than alive. Things get even more complicated when she realizes the people on her watch list--those with abnormalities that she monitors so that when they die, she and her crew are ready to claim them--start dying before their time. Someone is taking out her targets one by one, and if she’s not careful, Cora could be next. This is the perfect book for your fall reading list--it’s suspenseful, original, a little gruesome, and even a touch romantic, if you can believe that. And after all, if you’re going to read a book about grave robbing, October is the time to do it!